Provide comfort for the family of Robert Dankmeyer with a meaningful gesture of sympathy. 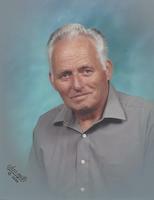 DANKMEYER, Robert (Bob) - Passed away peacefully at Lakeridge Health Bowmanville on March 31, 2019, in his 87th year. Beloved husband of 63 years to Philomena (nee Van Boxtel). Loving father of John (Brenda), Bob, Rick (Lesley), Dan (Barb) and Dave (Debbie). Opa to Lauren, Eric, Alison, Erica, Jillian, Ian, Sarah, Justin, Amanda, Nicholas and 12 great grandchildren. As per Bob’s wishes there will be no visitation or funeral service, cremation has taken place. Arrangements entrusted to Morris Funeral Chapel, Bowmanville. To send flowers in memory of Robert Dankmeyer, please visit our Heartfelt Sympathies Store.